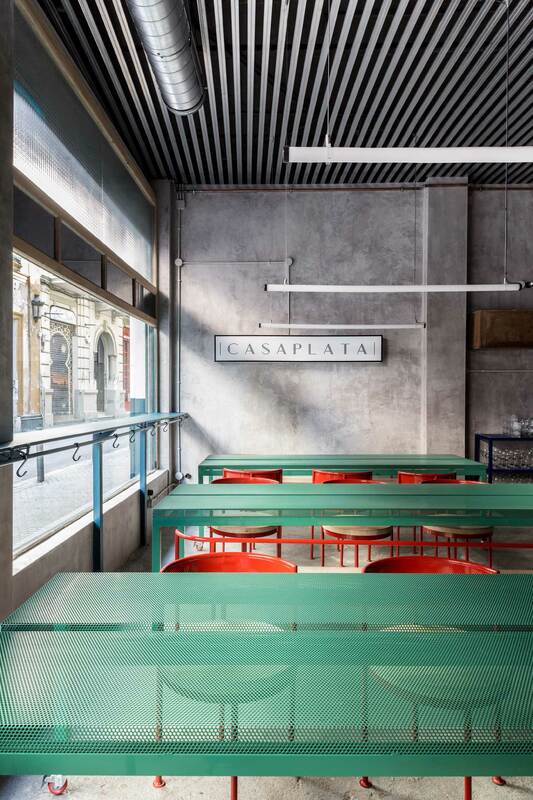 CASAPLATA Restaurant & Cocktail Bar in Seville by Lucas y Hernández-Gil. When it comes to bars, restaurants, clubs, and cocktail spots, is it time to move on from design nostalgia? In tougher times when the future laid out before of us seems bleak and overwhelming, the past becomes the Golden Age and period revivals (60s era Mad Men whisky bars and prohibition style speakeasies, for example) are all the rage. Though, it seems designers in Europe are ready to put the past behind them so to speak, and to begin to colour our years ahead. 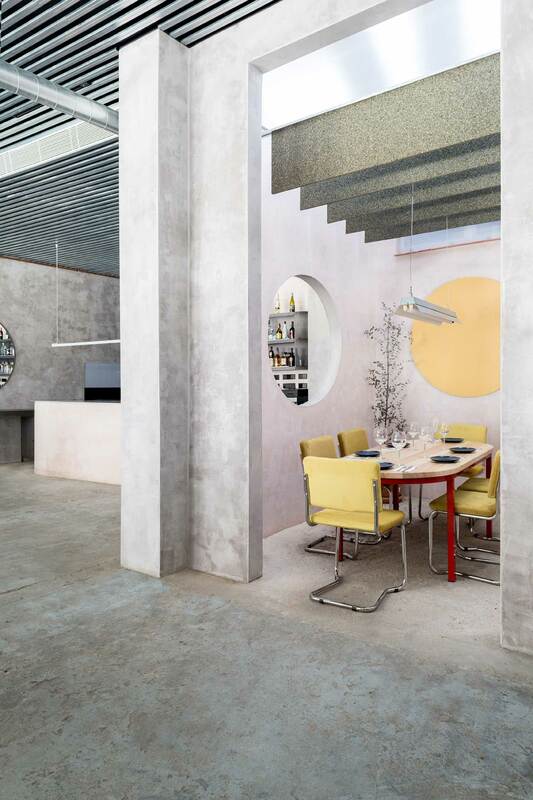 Adding to a vision of the future is CASPALATA in the heart of Seville. 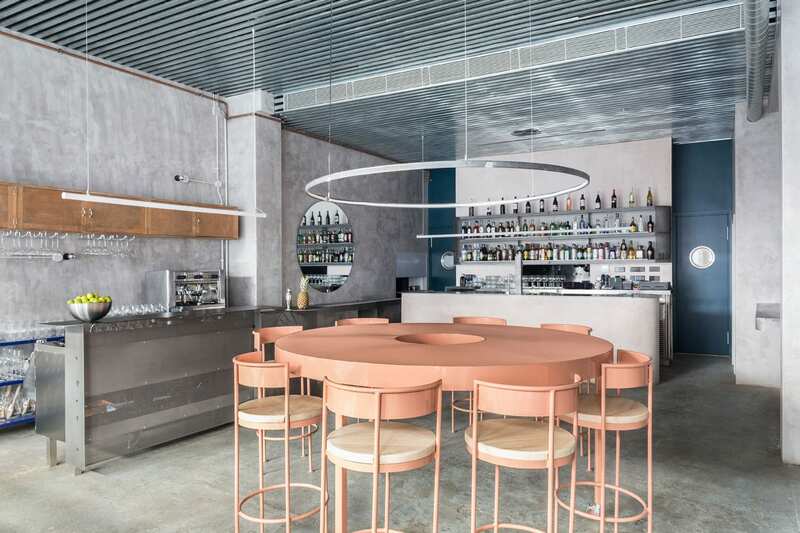 It’s a restaurant and cocktail bar designed by Madrid-based studio Lucas y Hernández-Gil, who has purposefully sidestepped tried and true nostalgia in favour of creating something totally fresh. The result is pretty serene. 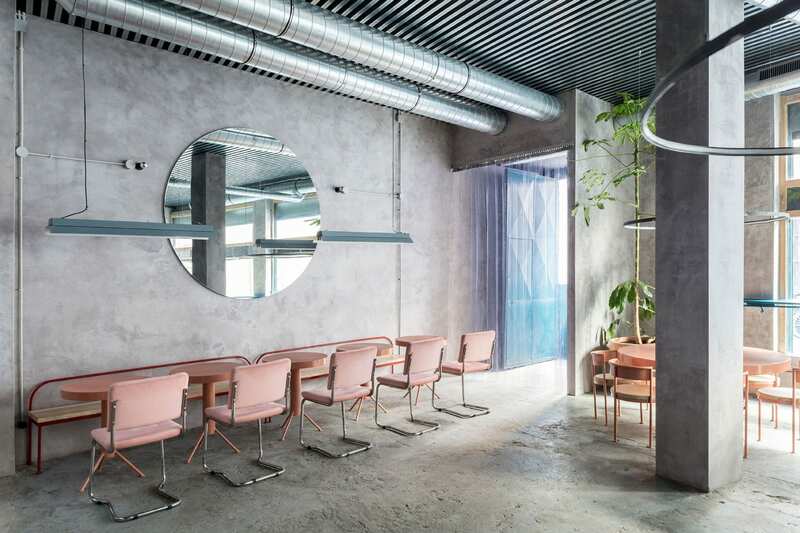 Related: Ham Sandwich & Champagne Bar In Madrid By Lucas Y Hernández-Gil Arquitectos. 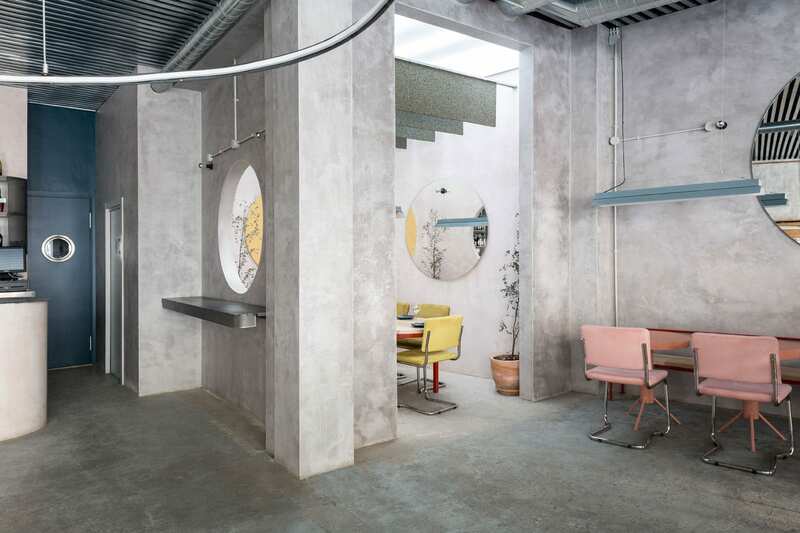 Designed to resemble a Georgio Morandi still life painting, the space has been given a silver-grey raw concrete canvas. 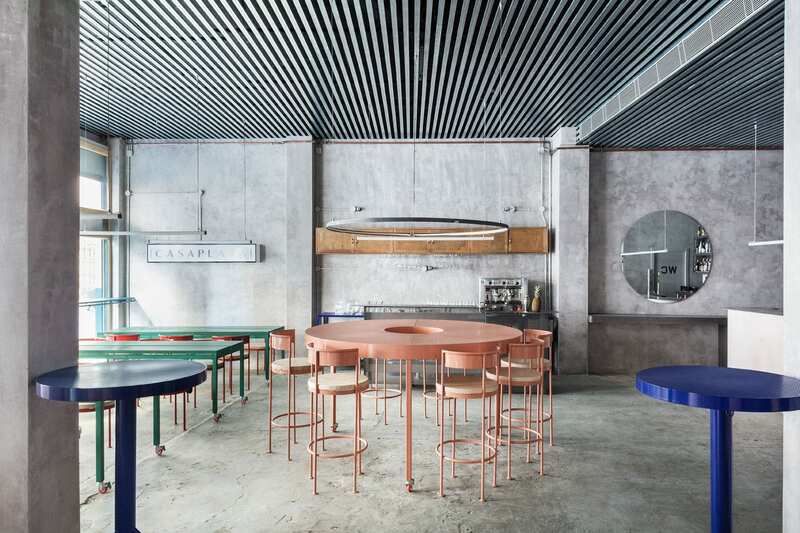 Furniture pieces are layered over as the paint – metal tables, chairs and benches in bold peach, mint, and red reference Morandi’s palette and work to divide the space visually. There are drops of Yves Klein blue too: a drinks cart and bar table. 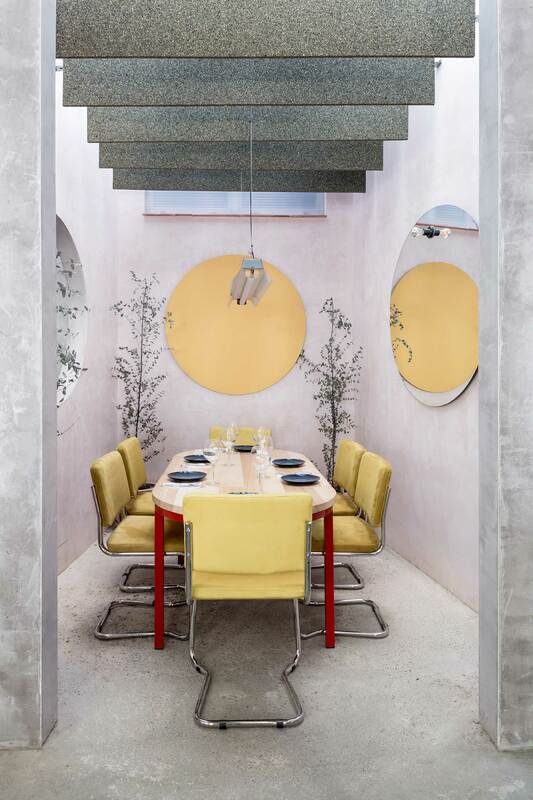 And along with warm lighting, h velvet pale pink and butter yellow chairs soften the atmosphere and the cold concrete. While bold colour guides the space, the mood is still simple, pared back, and not overbearing. 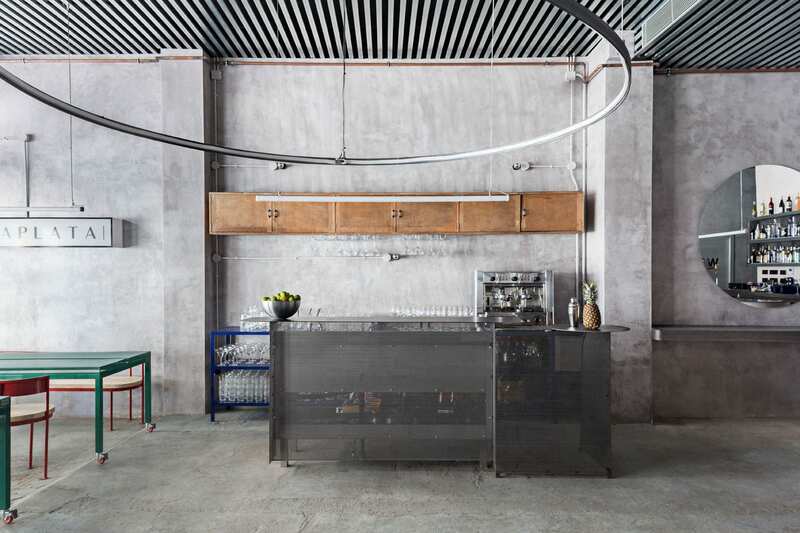 Each element has been intended to allow the true purpose of the restaurant and bar to gleam through. 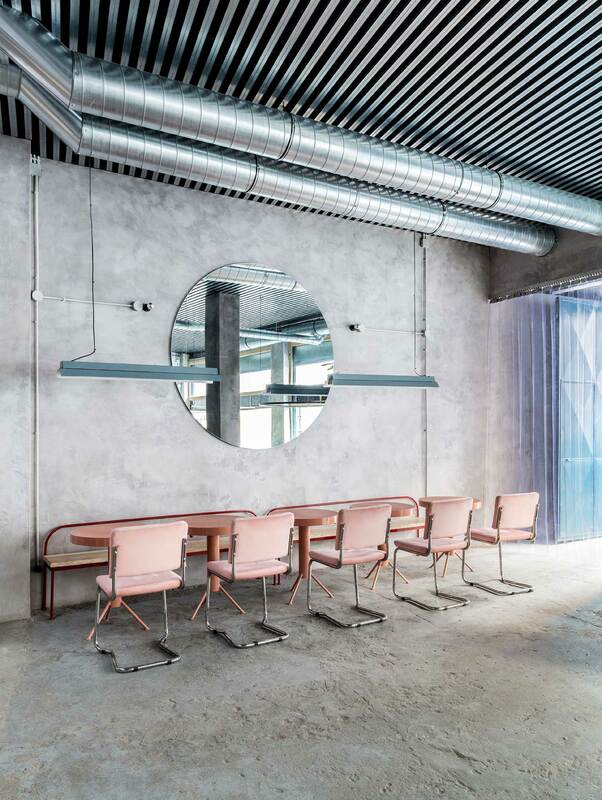 Metal furniture is perforated to lower the impact and reinforce the gastronomical experience. 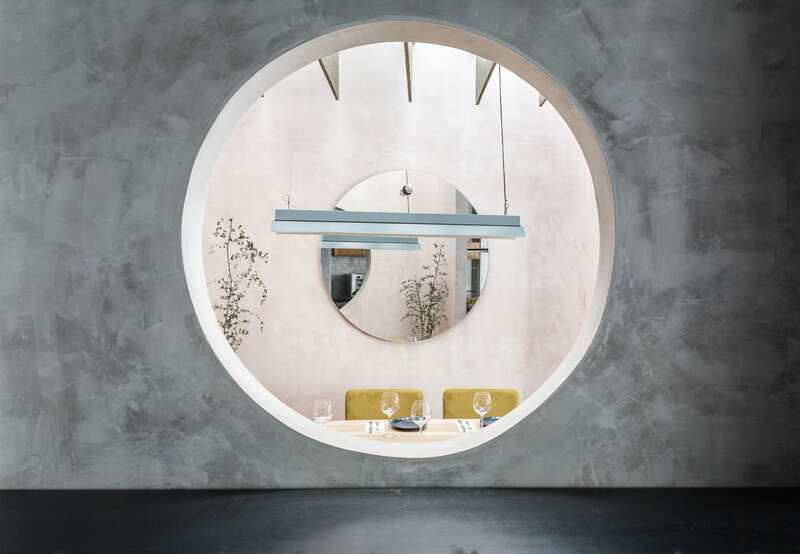 Circles are a motif too – as lights and tables – and even porthole spaceship-like windows between walls. Related: Stories On Design // Circles in Architecture. 110 Rooms: MAIO Architects’ Jaw-Dropping Apartment Building in Barcelona.